According to recent reports, Fannie Mae, the government-sponsored enterprise backed by federal taxpayers, plans to expand its role in the housing finance system by further relaxing general underwriting standards for allowable loans held in its financial portfolio. Under the expected policy change, Fannie Mae would broadly cover mortgages with high borrower debt-to-income ratios by increasing the maximum debt-to-income threshold from 45 percent to 50 percent, beyond the special exceptions set in its current underwriting structure. 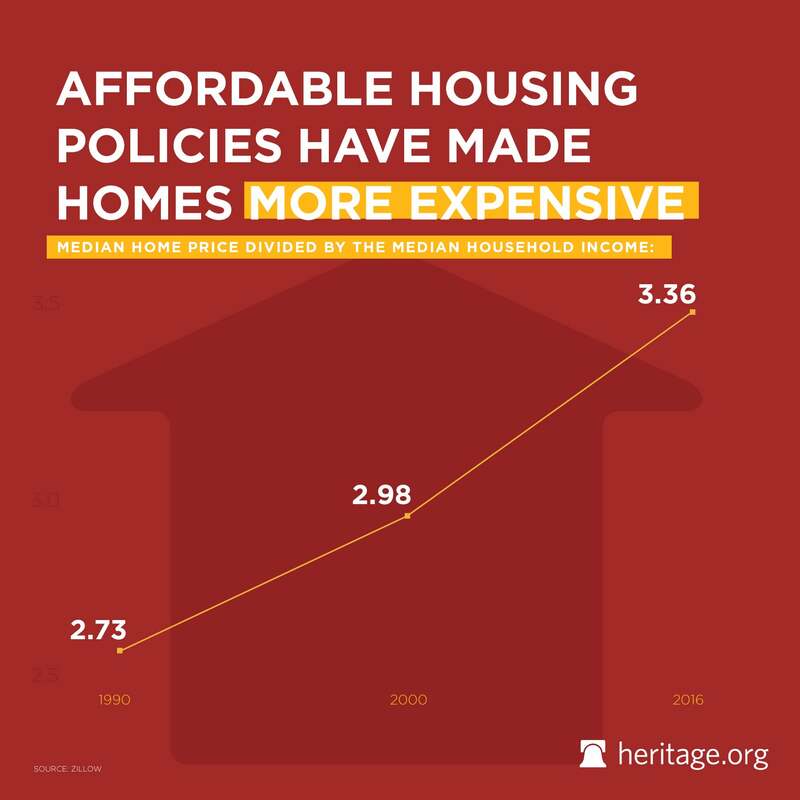 It is instructive to bear in mind that the federal affordable housing mandates that started in the 1990s ultimately necessitated that the government-sponsored enterprises loosen their underwriting standards, which made the housing system more fragile and resulted in millions of failed homeownership experiences. In addition, housing advocates continue to advance a confused notion that altering financing options to allow borrowers to take on higher levels of mortgage debt somehow translates into more “affordable” homeownership. Although, since the federal government began its nebulous affordable housing extravaganza in the early 1990s, homes have become less affordable, not more. In fact, between 1990 and 2016, home prices generally outpaced incomes. Median home prices increased from 2.73 to 3.36 times median household incomes during this period. Indeed, just the opposite is more likely to occur, especially when considering additional changes Fannie Mae has made that include low down payment requirements and higher loan limits for mortgages eligible for it to acquire. Weakening underwriting requirements in housing finance, including increasing the allowable borrower debt-to-income ratios, would provide increased means for marginal homebuyers to bid for more expensive homes than they would otherwise have sought. The increased demand would put upward pressure on home prices. In any event, allowing home loans with higher debt-to-income ratios within Fannie Mae’s financial portfolio would likely increase its dominance in the housing finance system. Such dominance is especially likely now as the housing market improves, and as more households look to take on mortgages with the purchase of homes. Until federal policymakers finally take the necessary steps to address fundamental housing finance policy reforms that would wind down Fannie Mae and Freddie Mac, the government-sponsored enterprises should avoid any policy changes that would expand their vast footprint in the housing finance system and further complicate any federal reform efforts. The graphic originally in this article was incorrect. It has been replaced with a correct version.